That Jeff Lebowski was one cool dude. Aside from the fact that he actually referred to himself as "The Dude," the iconic character from The Big Lebowski just had something about him--a kind of pure coolness that's hard to describe. His secret? He didn't try. Tech companies, on the other hand, try with all their might to come across as cool. Sometimes, they succeed--Apple's "I'm a Mac" ads managed to project an air of coolness that stuck for years--but equally often, their attempts to connect with consumers make them look more out of touch than Mr. Magoo at a Megadeth concert. 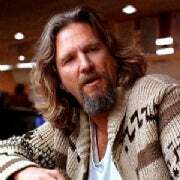 Ultimately, it all comes down to something I call "The Dude principle of coolness": If you're actually trying, odds are, you're failing. And the harder you try, the greater those odds become. Here are 10 times when tech companies' attempts failed miserably. MSI's concept, from what I can best surmise, was to show off the superthin profile of its new X-Slim laptops. And given the popularity of shows like MTV's "Jackass," you can see how a team of suit-wearing hacks might have seen the stunt as a cheeky way (so to speak) of grabbing college kids' attention. What MSI failed to realize was that there's a difference between making people cringe and making them want to buy your product. This asinine stunt fails to accomplish the latter--no ifs, ands, or butts about it. Talk about a flop: Sony's 2006 attempt at connecting with the "cool kids" was so bad, the company actually had to apologize. Remember this one? Sony hired a marketing company to create what was supposed to look like a teenager's blog. That "teenager," of course, was an employee who blogged exclusively about how he and his pals really wanted a Sony PlayStation Portable for Christmas. The crowning moment came when a video surfaced showing the blogger's "cousin" Pete rapping about the PSP. Pete's lyrics included such insightful prose as: "Games so crazy / they totally amaze me / gotta ask my mom for one / fo' shizzy." Savvy Web surfers soon discovered that the blog's domain--Alliwantforxmasisapsp.com--was registered to an agency called Zipatoni. And then, everything fell apart. Sony posted a note on the site admitting it was behind the effort. Days later, the blog and all the videos magically disappeared (hint: you can still see them via archive.org). In a statement made to BusinessWeek, then-Sony PR boss David Karraker called the concept "a marketing idea that was poorly executed." Poorly executed, eh? As Cousin Pete might say, "fo' shizzy." For a different type of musical disaster, we turn to our always-reliable friends over at Microsoft (who, as you'll soon see, make this list three times). In 2009, the gang from Redmond created a four-minute video promoting their new Songsmith software. The software lets you sing along with customized backing tracks while recording your best "American Idol"-esque efforts. The video, unfortunately, came across more like a bad "SNL" sketch than anything. Entertainment blog Videogum hit the nail on the head when it said it was like Microsoft had "found some kind of home-schooling Christian commune in the woods and hired them to make their commercial."